SANDRINGHAM, England- Queen Elizabeth II used her traditional Christmas broadcast to call for international reconciliation and to praise medical workers fighting Ebola in Africa. The queen said she has been "deeply touched" by the "selflessness" of doctors and nurses combating the Ebola outbreak. She also recalled the legendary 1914 Christmas Truce during World War I and urged that its lessons inspire reconciliation throughout the world. "No one who fought in that war is still alive, but we remember their sacrifice and indeed the sacrifice of all those in the armed forces who serve and protect us today," she said. "In 1914 many people though the war would be over by Christmas, but sadly by then the trenches were dug and the future shape of the war in Europe was set. But as we know, something remarkable did happen that Christmas, exactly one hundred years ago today. Without any instruction or command, the shooting stopped and German and British soldiers met in No Man's Land." It should remind us, she said, "that even in the unlikeliest of places hope can still be found." 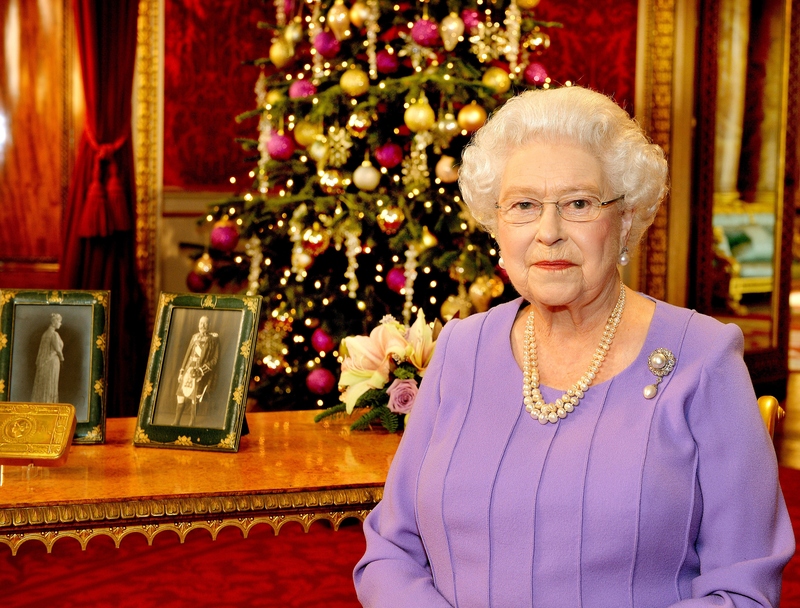 Each year the queen writes her own Christmas speech, which is pre-recorded and televised in many parts of the world on the afternoon of Christmas Day. She made her first Christmas broadcast on radio in 1952. The queen is celebrating the holiday with her husband Prince Philip and other members of the royal family at the sprawling Sandringham estate in Norfolk, England. The royals attended a church service Christmas morning before enjoying a gala lunch. Prince William and his pregnant wife Kate were present, but their toddler son, Prince George, did not go to church. Prince Charles' wife Camilla also did not attend because of a painful back injury suffered earlier this month, officials said. William and Kate talked to the crowds briefly after the service when the queen had left by car.